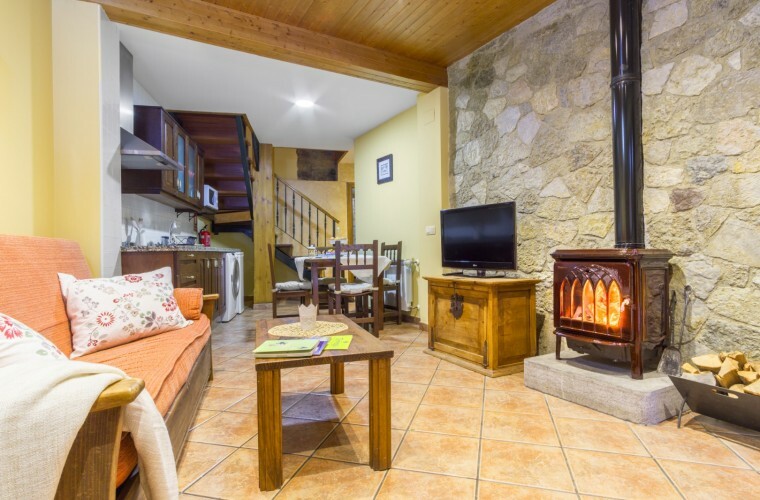 Rural accommodation in the countryside, very close to the Prehistory Park and the Bear House. Four individual houses in the countryside with all necessary to enjoy a few days of rest facilities. Come with your partner or family to enjoy Asturias. 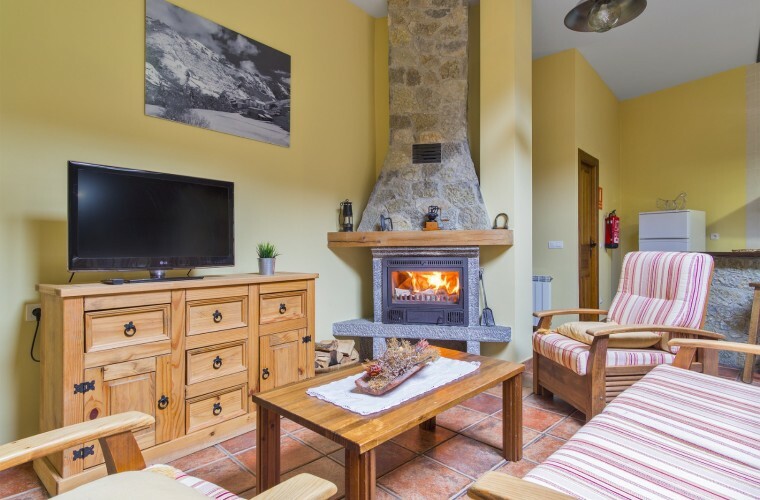 Do not miss Somiedo, Muniellos Forest, Oviedo or the villas and beaches of Cantabria. 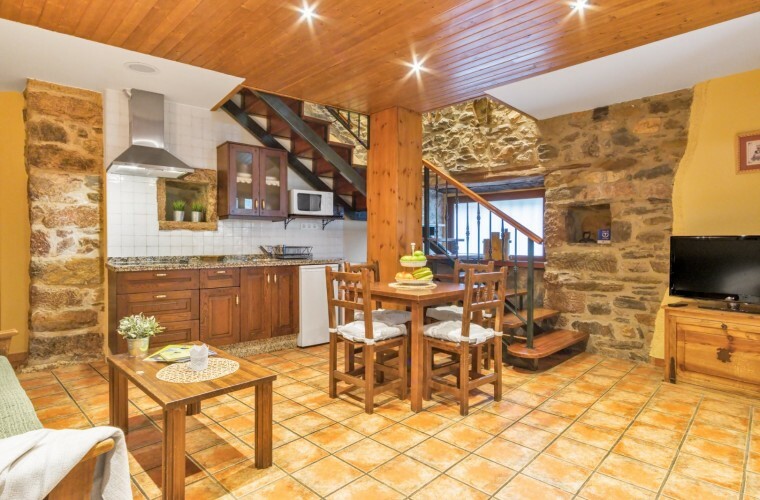 For a stay of 4 consecutive nights in our rural apartments we will give you a free night. Ideal for a perfect break in Asturias knowing our region. Do not miss this offer! Offer valid only in low season. 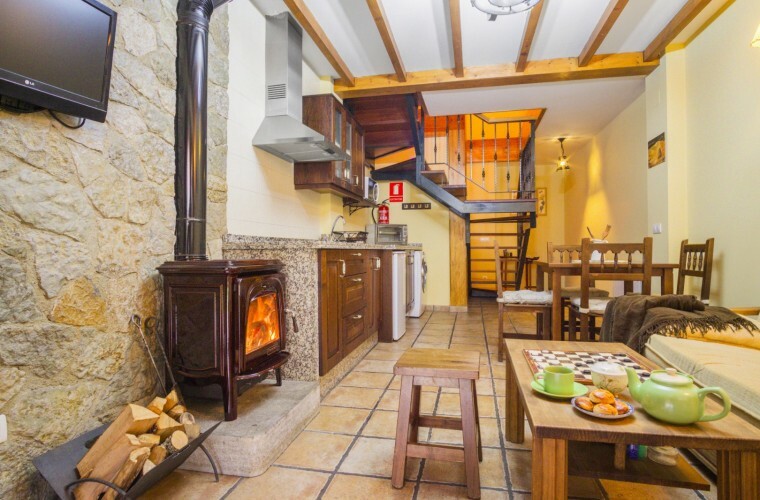 It includes the stay of two nights in our accomodations of White Apartments + a horse route through the valleys of the Council of Teverga + a route in bicycle along the Path of the Bear. All this for € 100 per person vat included. Offer valid only in low season. Come in Autumn and Winter, and besides getting the best price you will enjoy our paradise in its splendor. Apartment of 2/3 duplex. It is structured in two floors, the main floor, diaphanous, in which is the kitchen and the living-dining room in one piece and the bathroom separated by a door. 4/6 duplex apartment with two bedrooms. It is structured on two floors, the main floor, diaphanous, in which is the kitchen and the living-dining room in one piece. On the upper floor are the two bedrooms. 4/6 duplex apartment with two bedrooms. It is structured on two floors, the main floor, which is the kitchen, the living room in one piece. Spacious apartment for 6/9 people located on the top floor of the white houses of Apartamentos Blanca. It has a huge open space with sloping ceilings where the kitchen and living room are located. It has three bedrooms. The Natural Park of Las Ubiñas-La Mesa comprises a territory of mountain with relief of pronounced contrasts, from which rises, near the border with Leon lands, the Peña Ubiña massif, the second highest mountain of the region after the Peaks of Europe, with altitudes above 2,400 meters. Located in the most southern and central sector of Asturias, it integrates the lands of the councils of Lena, Quirós and Teverga included in the Regional Reserve of Hunting de Somiedo. The beech forest is the dominant forest formation, with more than seventy percent of the wooded area, but neither are oak, carbayedos and birches, chestnuts and acebales. Above the upper limit of the forest are extensive areas of pasture, used ancestrally by the residents of Quirós and Lena and even by herds of transhumant merinas from Castilla, Leon or Extremadura. A perfect house to give free rein to rest, reading and practicing activities in the countryside. We offer different options for you to enjoy your stay in our apartments. Path of the bear and Park of the Prehistory. To enjoy with family or with friends of nature, in a relaxing and comfortable atmosphere.